BOAR BRISTLE BRUSHES THE ADVANTAGES. Boar bristle brushes help to keep your hair healthy as they evenly distribute your bodies natural hair conditioner sebum (scalp oils) throughout your hairs length. If you have a head of medium to long hair a boar bristle brush should definitely be in your wardrobe of hairbrushes. Looked at as nonsense nowadays an old saying that I even remember my grandmother using was “brush your hair 100 strokes a day for healthy good conditioned hair”. The saying was in fact a reference to the boar bristle brush which has been around since eighteen hundred and was originally developed to improve people’s hair texture and shine. One reason we use a hairbrush is to detangle and groom our hair. In brushing you distribute oils from your scalp down onto your hair shaft, remove loose hairs and clean the hair by lifting off any dust and debris. Secondly you will use a brush as a styling tool in conjunction with a blow dryer. To straighten your hair or add some bounce or even a curl. 5 Benefits Of Using Boar Bristle Brushes. Benefit 1. Boar Bristle Brushes Condition Your Hair. Your scalp produces sebum which is your body’s natural conditioner for your hair. Boar bristles are made of keratin the same as human hair. When placed under a microscope it shows that the bristles have a slightly uneven surface. Due to this unique structure when you brush your hair the boar bristles will carry your hair sebum (natural oils produced by your scalp) from your scalp to the ends of your hair. Giving you a better distribution of hair oils than that of a smooth synthetic bristle. Benefit 2. Your Hair Will Be Softer And Shinier. By brushing your hair with boar bristle brushes from roots to ends you will evenly distribute your scalp oils. As your hair strands become coated in a small amount of natural oils they will become softer and shinier. Benefit 3. Boar Bristles Help Your Hair Grow. The boar bristles will gently stimulate your scalp. Bringing more blood flow to your hair follicles which in turn stimulates hair growth. One of the functions of hair growth is blood flow. Without this hair cannot grow. Benefit 4. Brushing With Boar Hair Brushes Help Reduce Frizz And Breakage. The boar bristle brushes help to reduce hair frizz and prevent breakage as well as being a great brush for use if you have hair extensions. Because your scalp oils act as a natural protector for your hair helping to seal split ends and prevent hair breakage. Think of the sebum produced by your scalp as an original and effective anti-frizz serum. Benefit 5. Your Hair Will Look Cleaner. A clean scalp is essential for healthy hair. Brushing through your hair with a boar bristle will help your hair roots will look less oily and weighed down. Because as you are brushing from roots to ends with the boar bristle brush you are evenly distributing your hair oils. The bristles help to remove excess oils by trapping them in the brush. Whilst at the same time attracting fuzz and dirt build up like a magnet. Where Do Those Boar Bristles Come From? The boar bristles that are used in boar bristle brushes used to be from wild boars that are found in Siberia and the Himalayas. Although nowadays the bristles come mainly from China and India where boars are raised and sheared on farms. The bristles are then cleaned and graded by length, resilience and color. The stiffest and most prized bristles will come from the boars back because they have been exposed and toughened. As I have mentioned before you can expect to pay a higher price for your boar brush if the bristles are stiffer. The amount you pay for boar bristle brusesh can vary from a few dollars up to a few hundred dollars. This will depend upon several points. Point 1. Whether the brush you are looking at is 100% natural boar bristle. Point 2. If the brush has a mixture of boar and synthetic bristle. Point 3. The quality of the boar bristles used. The highest quality brushes use the “first cut” which is closest to the boar’s body giving thicker stiffer bristles. When buying a boar hair brush squeeze the brush gently if it hurts your hand the edges are to sharp. The bristles should be gentle at the ends yet stiff enough to penetrate your hair. Good boar bristle brushes are well worth the money and I do recommend Mason Pearson brushes for their very high quality. Kent boar brushes are also worth a look as they offer a good selection of round and paddle brushes. 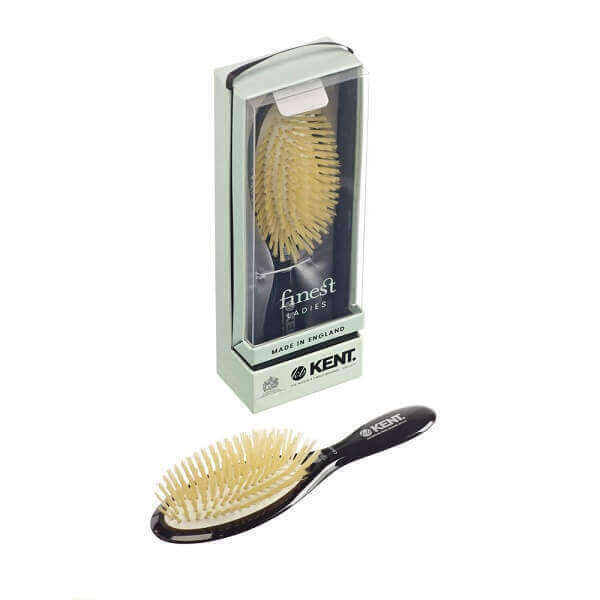 Kent use ethically sourced bristles and have been making boar bristle brushes for many years. By the way no I am not sponsored. 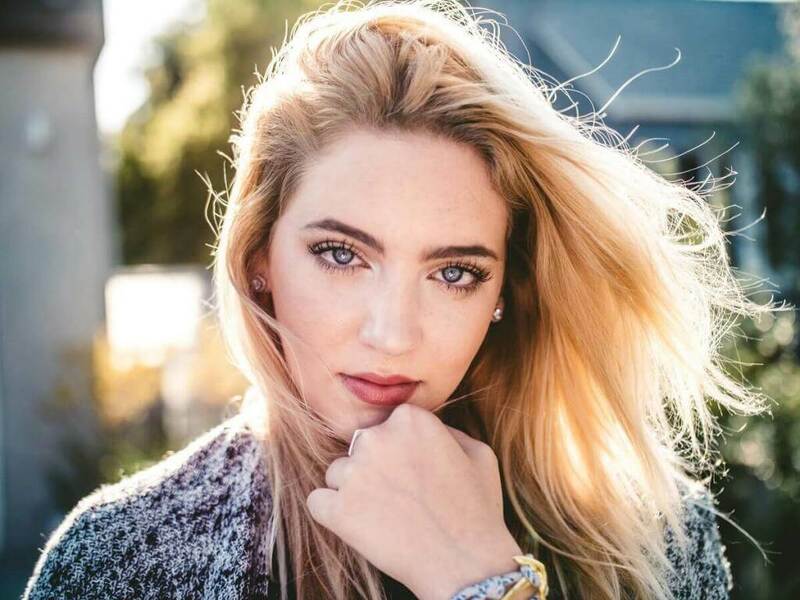 Tips For Brushing Your Hair With Boar Bristle Brushes. Boar bristle brushes are not meant for de tangling your hair. If you have tough tangles in your hair either run through with your fingers a large toothed comb or a de tangler before using the brush. Don’t just brush the top area of your hair. But section and brush your hair so as to to ensure even penetration of your hair oils. Start brushing from your scalp pushing the hair on the brush all the way to the ends. By brushing your hair at night your hair will soak up the hair oils as you sleep. Cleaning Your Boar Bristle Brush. How long your boar hair brush lasts can depend on how often you brush your hair. How heavily you brush your hair. But mainly it will depend on how careful you are when washing your boar bristle brush. Follow these tips to lengthen its life. Remove tangled hair by using the hair remover supplied by the manufacture of your brush if supplied. If none was supplied use the tip of your tail comb. Fill your basin with luke warm soapy water. Use a mild shampoo never a harsh detergent. Never submerge your brush. Instead draw it back and forth through the soapy water. Rinse your brush in clear water. Shake of all the excess water. Put the brush on a towel to dry and always place the bristles facing down. Thank you for taking the time to read my post. I hope that you found it interesting if so why not share it with a friend.